Her granddaughter Allison Mullavey said that the actress died in Englewood, NJ on March 6. Actress Sheila MacRae, who is best known for her role as the wife of bus driver Ralph Kramden named Alice on 1960s ‘The Honeymooners’, has died at the age of 92. 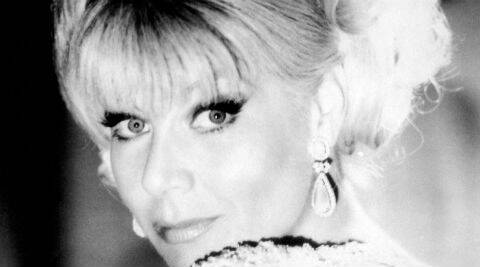 Her granddaughter Allison Mullavey said that the actress died in Englewood, NJ on March 6, reported Ace Showbiz. “She lived a good life and she lived a long time,” Mullavey said. World War II. In 1941, she married Gordon MacRae who was popular for his hits such as “Rambling Rose”, “So in Love” and “It’s Magic”. Beatles performed. The couple got divorced in 1967. MacRae’s TV credits included “General Hospital” and “Search for Tomorrow”. She also took part in quiz “What’s My Line?”. She also starred in movies such as 1950’s “Backfire”, “Caged”, “Pretty Baby” and 1964’s “Bikini Beach”. In addition to TV and movie appearances, MacRae performed on Broadway plays including “Absurd Person Singular” which debuted in 1974. MacRae is survived by a daughter, actress Heather MacRae, and two sons, William Gordon MacRae and Robert Bruce MacRae. Her other daughter, actress Meredith MacRae, died in 2000.